OCEAN PARK (NZ) (Bay 2008-Stud 2013). Horse of the Year in NZ in 2012-13. Champion Middle Distance Horse in AUS & NZ in 2012-13. 8 wins from 1200m to 2050m, NZ$343,925, A$2,529,000, MVRC WS Cox P., Gr.1, ARC New Zealand S., Gr.1, MRC Underwood S., Gr.1, Caulfield S., Gr.1, Hawke's Bay Makfi Challenge S., Gr.1. Out of a half-sister to the dam of SW Prince Kaapstad (ARC Easter H., Gr.1). Sire of Beerzatbernz, etc. His oldest progeny are 2YOs. OUR ESSENCE, by O'Reilly. 2 wins at 1600m, 2000m, ARC Power at Cambridge Stud H. Three-quarter-sister to Now Voyager - Joker (H.K. ), half-sister to Zazabeau, Zazabelle. This is her first foal. Now Voyager - Joker (H.K.) (Last Tycoon). Winner at 1400m, US$40,560, A$211,060, HK$56,000, AJC Paratune H., 2d STC Tulloch S., Gr.2, Arrowfield Stud H., 3d Australian Derby, Gr.1, AJC Matador Bull Bars H.
Beaudragon. 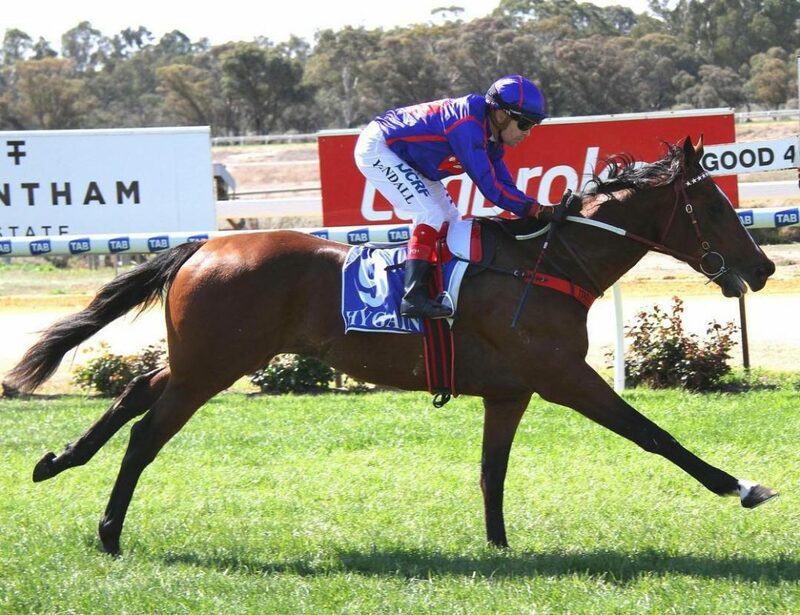 5 wins to 1300m to 2015-16, Ipswich TC Sirromet P., 3d ATC TAB Rewards H.
Dependable. Winner at 1600m in 2016-17, 3d ATC TAB Rewards H.
Rock and Reel. 2 wins at 1300m, 1600m, 3d AJC Rosebery H.
Winning Big. Winner at 1300m, 2d STC Schweppervescence P., 3d AJC Botany Bay H.
Zazabeau (Zabeel). 2 wins at 2000m, 2400m, A$209,500, STC Iskander.com H., Rosehill Event Centre H., 2d AJC Summer Cup, Gr.3, STC Christmas Cup, L, AJC Ike's Dream H., Arrowfield Stud H., Moorebank H., STC Maurice Blackburn H., 3d AJC Summer Cup, Gr.3, STC Co-Ordinated Landscapes Welter H., AJC Plenary Group H., 4th City Tattersalls Club Cup, L.
Dream of Slips. 5 wins to 1200m, A$154,615, BRC Electrical Trades Union H., Superiorpak H., GCTC Cordner Taylor H., 2d BRC Lilivale Endless Maize H., Ipswich TC Weddings & Parties H., Toowoomba TC K&R Plumbing H., 3d Qld Tatt's RC Carlton Mid H.
Our Essence. 2 wins. See above. Orinto. 2 wins at 1400m, 2000m, 3d Waikato RC Waitaha TOA H.
Albert's Image. 8 wins to 1200m, A$78,900, 3d AJC Zambari H., BRC FK Gardner H.
Annihilator. Winner at 2000m in NZ. Maximilian. 3 wins to 1400m, A$165,115, ATC Chris & Wayne Toogood P., Fairfield RSL Memorial Club H., Hyland Race Colours H., 2d ATC PJ's Irish Pub Parramatta H., Sydney City Toyota H., BRC Heat 5 Origin Jockey Series H., 3d ATC Pro-Ride H., Xirrus H., Starstable.com.au H., De Bortoli P., Ipswich TC Ray White P.
THE PERFUME GARDEN (Tights). 5 wins. See above. Inauguration. 9 wins from 1350m to 1600m, A$160,666, Qld Tatt's RC Tattersall's H., Murrumbidgee TC Wagga Town P., BTC Live Wire Bar H., STC Dundas H., Fiji H., 2d STC Hialeah Series H., AJC Pagewood H., 3d AJC Mulgoa H., QTC Lord Penn Welter H., 4th QTC Zenith H., L.
JUSTINE COUP (Entrepreneur). 7 wins from 1400m to 2400m, NZ$76,800, CJC Churchill S.H., Gr.3, New Zealand Cup Trial, McCrory Thomas Travel H., 2d WRC Trentham S., Gr.3. Producer. LOVE IN A MIST (Rangong). 3 wins from 1600m to 2400m, STC Storm Queen S., Gr.2, VATC Malakoff H., 3d VRC AV Kewney S., Gr.2. Producer. BAYSHORE (Hermes). 13 wins from 1200m to 2050m, BOP RC Tauranga Classic, L, 2d STC Civic H., L, Levin Cup, L, 3d Avondale Championship S., Gr.2. Sire. Lord La Di Da (Taipan II). 8 wins to 1400m, Geraldine RC Derrick Gould H., Reefton JC Shirley Lodge H., 3d BOP RC Personalities' S., L.
GYPSY FAIR (Falkirk). 6 wins from 1200m to 1600m, NZ$121,705, to 2016-17, Marton JC Metric Mile, Gr.3, Levin RC Linwood Park Stud H., Hello September the Dial a Prayers H., Marton JC J&J Walters H.
BEAUTIFUL GIRL (Black Minnaloushe). 7 wins at 1200m, NZ$165,437, ARC Darley P., Gr.3, Suburban Newspapers Community Trust H., NZ Herald Xmas Carnival H., 3d Avondale JC Concorde H., Gr.2. ARICA (Anziyan). 5 wins from 1000m to 1600m, NZ$94,635, Levin S.H., L, WRC North Island Challenge S.H. BEL AIR (Victory Dance). 11 wins from 1600m to 2600m, NZ$294,350, A$152,400, Hawke's Bay Cup, Gr.2, SAJC Carlton Draught S., Gr.3, 2d Avondale Gold Cup, Gr.1, WRC Wellington Cup, Gr.1, 3d Avondale Cup, Gr.1, SAJC Adelaide Cup, Gr.1-twice, Waikato Gold Cup, Gr.2, WRC Trentham S., Gr.3.